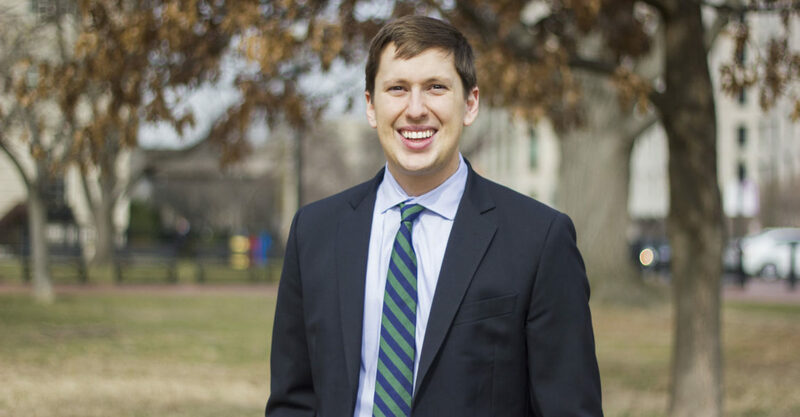 A 28-year-old lawyer from Derwood is running for the Democratic nomination for a District 19 seat in the House of Delegates, thinking his White House policy expertise and his work ethic make him a good fit for Annapolis. “I’m running I have the both the policy chops and the work ethic to be an effective delegate to get things done in Annapolis,” Vaughn Stewart said. District 19 is currently represented by Bonnie Cullison, Marice Morales and Benjamin Kramer. Kramer has filed with the Maryland State Board of Elections to run for the state Senate seat now held by Roger Manno, who is running for the 6th Congressional District seat being vacated by Rep. John Delaney. Cullison and Morales, both of Silver Spring, have filed for re-election. Two others have filed to run in the District 19 Democratic primary: Brian Crider of Rockville and Jade Wiles Jr. of Silver Spring. District 19 takes in a central sliver of Montgomery County, east of Rockville and Gaithersburg, but west of Olney. It includes parts of Silver Spring, Wheaton, Leisure World, Laytonsville, Derwood, Aspen Hill and Kemp Mill. Stewart’s policy expertise includes a stint in the White House Domestic Policy Council under President Obama as well as serving as Rep. Jamie Raskin’s policy director for his 2016 congressional campaign. He said he wants to serve as a delegate because he can make a difference in state government. “I think with the buffoon we have in the White House, the prospect of progress is minimal,” Stewart said. He also said he is a two-time cancer survivor, going through four rounds of chemotherapy for non-Hodgkin’s lymphoma, a cancer of the white blood cells, over the spring and summer. As of June 16, he said, his cancer is fully in remission. “Going through that experience gives you a newfound appreciation for the injustices of our health care system,” Stewart said. A proposal he’d advance in the House of Delegates would be to treat pharmaceutical companies like utilities. A board of relevant experts would set prices for prescription drugs that allows companies to make a profit but doesn’t gouge consumers, he said. Stewart said he’d model it after the all-payer model that regulates hospital charges. He said he also wanted the state to make “smart” investments in infrastructure, including all-day MARC service and extending Metro’s Red Line from Glenmont to Olney with stops in Leisure World and Aspen Hill. “You’re not only giving commuters alternatives to traffic congestion, you’re helping to combat climate change, and finally you’re investing in the clean energy economy in creating good paying green-collar jobs,” he said. Stewart has gained an endorsement from a progressive leader from Maryland’s political past: Stephen Sachs, the former attorney general who ran unsuccessfully for governor in 1986, losing to Baltimore Mayor William Donald Schaefer. Sachs formerly was a lawyer for WilmerHale, where Stewart now works as a regulatory attorney.